The museum occupies two neighboring mansions: the Hôtel Carnavalet and the former Hôtel Le Peletier de Saint Fargeau. On the advice of Baron Haussmann, the civil servant who transformed Paris in the latter half of the 19th century, the Hôtel Carnavalet was purchased by the Municipal Council of Paris in 1866; it was opened to the public in 1880. By the latter part of the 20th century, the museum was full to capacity. The Hôtel Le Peletier de Saint Fargeau was annexed to the Carnavalet and opened to the public in 1989. 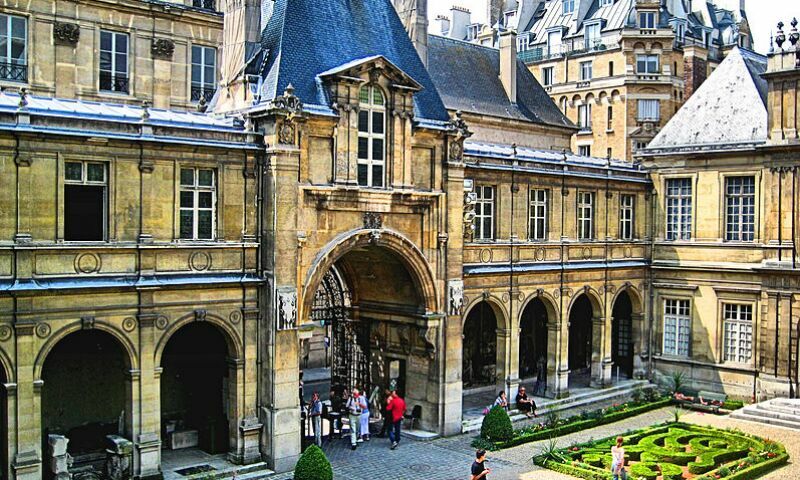 The Carnavalet houses the following: about 2,600 paintings, 20,000 drawings, 300,000 engravings and 150,000 photographs, 2,000 modern sculptures and 800 pieces of furniture, thousands of ceramics, many decorations, models and reliefs, signs, thousands of coins, countless items, many of them souvenirs of famous characters, and thousands of archaeological fragments. There are many views of the streets and monuments of Paris from the sixteenth to the twentieth century, but there are also many portraits of characters who played a role in the history of the capital and works showing events which took place in Paris, especially the many revolutions which stirred the capital, as well as many scenes of the daily life in all the social classes. THIS MUSEUM IS TEMPORARILY CLOSED!